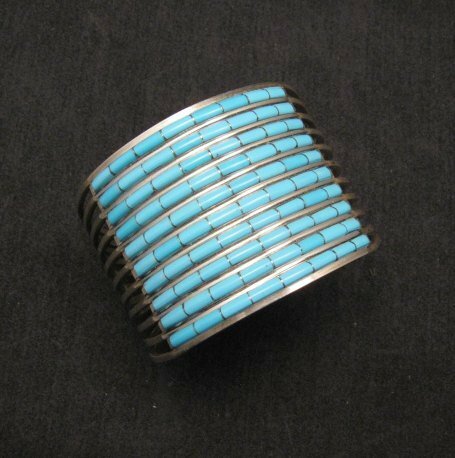 This fabulous contemporary Zuni turquoise inlay bracelet was created by Zuni lapidarist and silversmiths, Anson & Letitia Wallace. 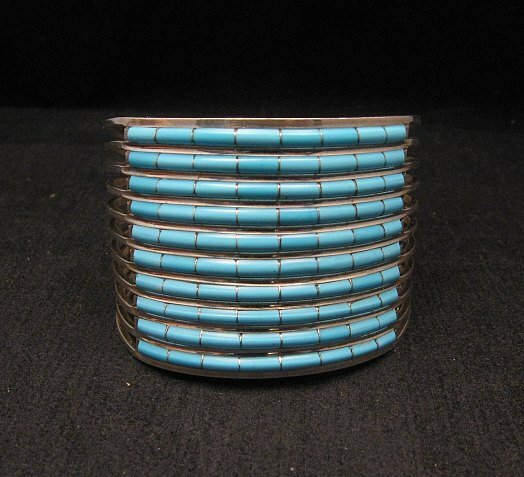 The bracelet is inlaid across the front with ten raised convex rows of Sleeping Beauty Turquoise. 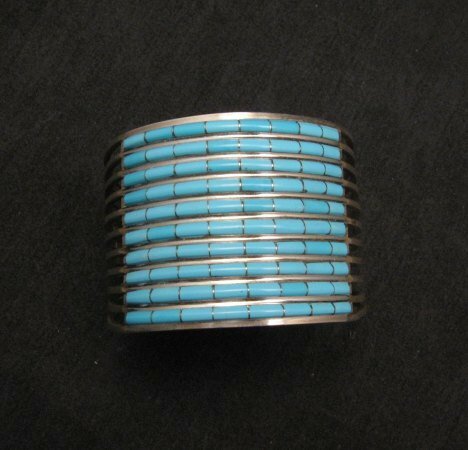 The bracelet measures 1-3/4" wide at the front and the inlay reaches across the front 2-1/4" of the bracelet. 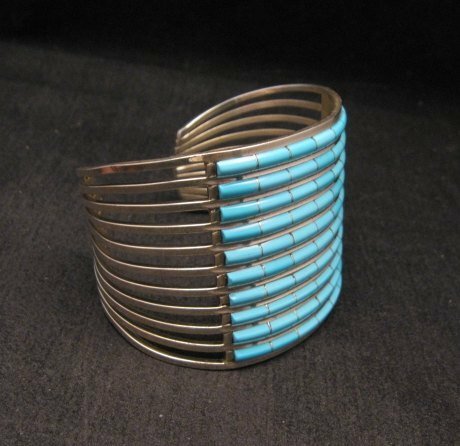 Any reflection or dark spots are due to photography - this is a perfect piece. 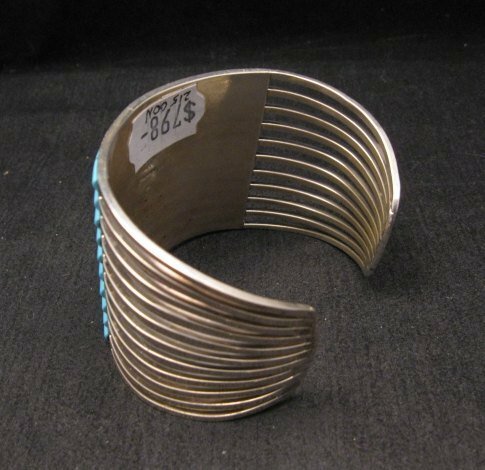 The bracelet measures 1-3/4" wide at the front and narrows to about 1" wide at the terminals. 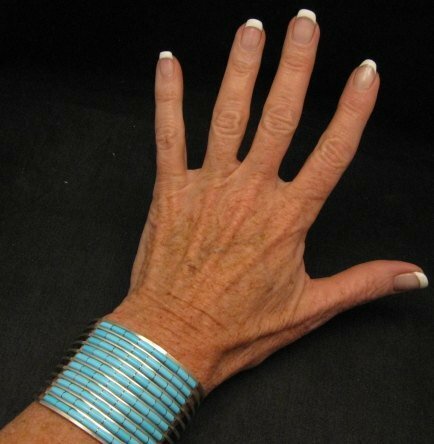 It has an inside end-to-end measurement of 5-1/4" plus a non-adjustable opening gap of 1-1/8". 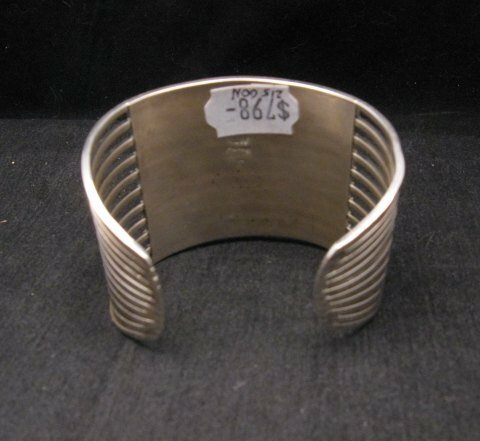 The bracelet weighs 54.5 grams. Stamped with ALW for Anson & Letitia Wallace. Brand new and in perfect condition. Gift box and Certificate of Authenticity included with your purchase.